The Great Pyramid project started as the brainchild of German writer Ingo Niermann, was inspired by artist Erik Niedling and discussed with entrepreneur Jens Thiel and engineer Heiko Holzberger earlier this millenium. 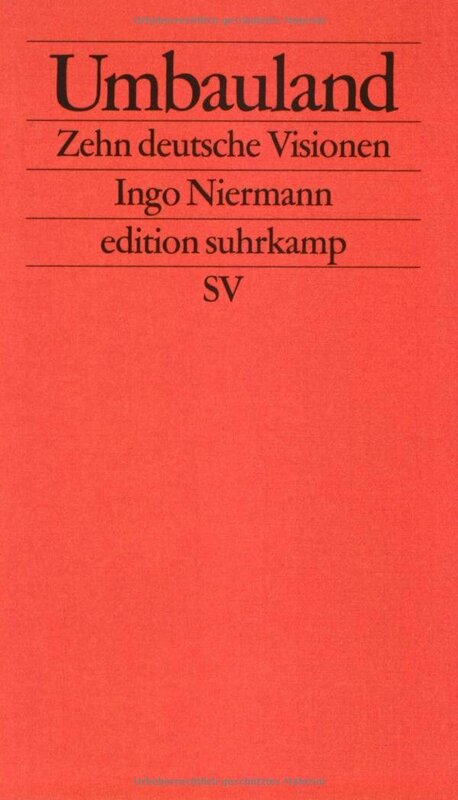 In 2006 Ingo published Umbauland at edition Suhrkamp, a collection of ten short essays envisioning simple but somewhat radical changes which could be able to break the agony that plagued Germany in the early 2000s. In Umbauland one early draft of the Great Pyramid as idea number 9 was argued as a catalyst that would be able to ease the enduring economic crisis of the new east German Länder. When we learned about the new The Future of Labour fund set up by the Federal Cultural Foundation of Germany in spring 2006, we reckoned our proposal might perfectly fit and Niermann, Thiel and Holzberger applied for a grant. 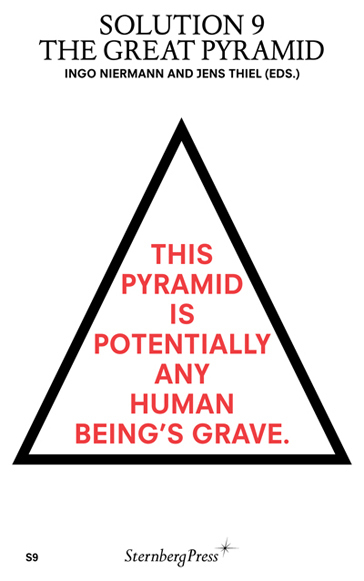 In this application we made it clear we would be actually attempting to make the Great Pyramid a reality. In autumn 2006 we received 90 k Euro funding from the Foundation to focus the Great Pyramid as a means for creating new employment opportunities and formally established a supporting association, the Friends of the Great Pyramid in Erfurt on 17 October 2006. Among others Jens Thiel got assigned the administrative duties for the public sponsorship, Ingo Niermann made the public relations, Heiko Holzberger brought in engineering and urban planning competences, Maik Bluhm designed logo and website, Rene Eisfeld produced most successful visualizations, writer Christian Kracht temporarily supported the project with his inescapable charme, and film director Frauke Finsterwalder and her team accompanied the efforts of the association for a forthcoming feature-length documentary. In early 2007 we began to detail and improve the concept initially sketched in Umbauland. Since we were to introduce the project we received the grant for at a specific site, we turned to the city of Bauhaus Dessau. This region of Saxony-Anhalt boasted a uniquely rich cultural heritage perhaps unsurpassed by any other region in the world. In some kilometers distance, visitors would find three UNESCO World Cultural Heritages: the Dessau Bauhaus, the Dessau-Woerlitz Garden Realm and the Wittenberg Martin Luther sites. On the northern edge of Dessau, we identified the largest undeveloped and connected plot of land within the city limits near the borough Streetz. After Streetz´s district mayor had welcomed our proposal warmly and much encouraged us to go ahead, we introduced the Great Pyramid idea to the villagers in May 2007. Reactions were mixed. They liked the idea – but not necessarily in their backyards. After we staged a small-ish open air music festival for free and perform the symbolic public cornerstone laying ceremony on 2 September 2007 to playfully advertise the plan to the locals, a first small storm went through international media. At about the same time we issued an urban planning ideas competition for the Streetz plot in order to better illustrate the concept´s potential. When Ingo asked Pritzker Prize winning architect Rem Koolhaas to join the jury, he without hesitation agreed. By this time it became obvious that we were at something that not only we but many, many others found straightforward reasonable, practical and still much fascinating. What had been oscillating between a conceptual media art project and a founding for future employment-creation measure became a serious venture demanding long hours of more and more research on social issues while it was getting increasingly appreciated by the national and international public. The Berlin Great Pyramid Gala on 10 March 2008 was the grand finale of the funding by the Federal Cultural Foundation of Germany. Since then the project will be developed voluntarily. We have been part of the German contribution “Updating Germany – Projects for a better Future” to the 11th Architectural Biennal in Venice and published the monography Solution 9: The Great Pyramid at Sternberg Press. An early concept of TGP has been introduced in "Umbauland" (2006). The Great Pyramid book, published by Sternberg Press in May 2008.